Criminal Minds: Joe Mantegna, David Rossi on Criminal Minds, attended event honoring him with the 2,438th star on the Hollywood Walk of Fame. Well deserved!! TNH: First of all, are you aware that you are actually the nicest person in existence? MGG: Oh, no. Thank you for saying that, though. TNH: Most people wouldn't wait around for two hours to meet 600 or 700 college kids. MGG: If they're waiting, I'm waiting. I would demand on out-waiting anybody. TNH: You said that this is your first time doing anything on stage; is that true? MGG: Somewhat true. I mean, it's my first time doing like, an evening of anything. I've been in plays in high school and stuff like that, but I've always wanted to sort of self-generate. I'm jealous of my friends like Steve that are in bands, and they're like, "We make something and then we go out and perform it!" As an actor, you're kind of trapped in this world of, "Oh, someone writes something and if I'm lucky I get put in it and I go out and I say those words." I've always had this dream of being able to do something like that. It's hard for an actor, so this was like an absolute, wonderful, dream-come-true and a great opportunity. TNH: What made you decide on UNH? MGG: They called and asked! My agent called and was like, "Do you want to do some public spea—" and I was like, "Yup!" And he's like, "You didn't let us finish." And I said, "No, that's great." I got to do this thing for this filmmaker, John Waters, where he had me introduce him at this comedy event that he was doing and that sort of went really well, and I was like, "Oh, I'm so jealous." He does like an hour-long show, sort of similar to this, and I was like, "Oh, what a cool guy," and then two days later, they called. UNH called and it was like, "Oh my gosh! They read my mind." TNH: How did you go about coming up with material to present at something like this? 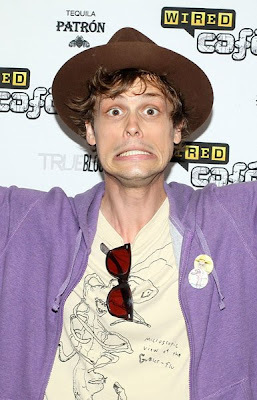 MGG: Thanks, you know, I don't know! I like challenges and basically, I said yes not knowing what I was gonna do and then I sort of started thinking about it. I just went through my life and kind of thought of some interesting stories that I thought might relate. And then the sort of nunchuck thing popped in there and then I got the idea to do the nunchuck thing. Then I was like, well I love telling ghost stories, but I've always been nervous to do it in big groups because I wasn't sure how it would translate. Ghost stories are so good when there's like six people. Can you do it with— so part of it was like an experiment to see, and I think it went pretty well. It's hard to say. TNH: What was the general reaction that you got from people you met after the show? MGG: I think they loved it, unless they were lying. They were very good liars if they were. TNH: How did you come up with the pajama party thing? Where did that come from? MGG: You know, that was sort of built out of— I love slumber parties and I love fun and it kind of, to me, in a weird way, was a way to deal with the fear of like "I'm doing some speaking" and it was called a "lecture." I'm like, "Oh, damn, a lecture? I'm not qualified to lecture. What am I qualified to do? I'm qualified to have a pajama party." I'm also really big into performance art, if that makes any sense, and like Andy Kaufman, and I thought "College kids don't want to go to a damn lecture. College kids, what do they want to do? Pajama party!" It was a fun way to make it more of a party and less of a talk. Talks are boring. CRIMINAL MINDS PRESS RELEASE FOR "SUPPLY AND DEMAND"
"Supply & Demand" - The bodies of two missing persons are found in a car trunk, and the BAU suspects that an interstate human trafficking ring is at work. 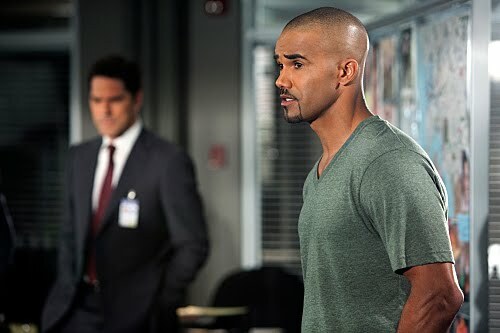 Also, Hotch warns the team of possible changes, and they are surprised when a beloved team member returns, on the sixth season finale of CRIMINAL MINDS, Wednesday, May 18 (9:00-10:00 PM, ET/PT) on the CBS Television Network. A.J. Cook returns as Jennifer "JJ" Jareau. Nicholas Brendon ("Buffy the Vampire Slayer") returns as Garcia's boyfriend, Kevin Lynch. Amy Price-Francis ("24") guest stars as SSA Andi Swan, head of the Domestic Trafficking Task Force, who assists the BAU on the case. 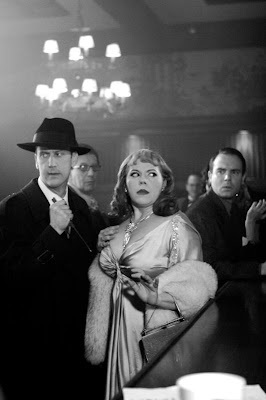 KIRSTEN VANGSNESS SHARES EXCITING NEWS! At long last here we are. I thought it would be fun to share these with the CM fans because I have an amazing job because y'all watch the tv when the show I'm on is on and as a result of my amazing job I have more resources to create stuff and for that I am ETERNALLY APPRECIATIVE. I am DELIGHTED to report that as of this email typing we have done just that, however, since it's a complicated endeavour to be a group of theatre rapscallions making a film by our own rules we are filming this film in bite sized pieces. Thus far we have exactly one "bite" done. It's a 17 minute bite of our film (some would call it a short film) and I can tell you it is delicious. And yes, it's delish because it's hilarious, and Shemar Moore, dear patron of the arts and honorary NOTE member that he is, has a cameo which he is brilliant in (did you know btw he can make his eyes twinkle on CUE?!? ), it's also amazing because the actual FILMING of it was happy, cooperation magic and kept completely in line with what we had dreamed of. We built the dolly for the camera ourselves, one of the actors in the film was the director of photography, the writer was the director, we did the catering ourselves, the make-up ourselves, we filmed at a restaurant a few steps from Theatre of NOTE, the music was written by Theatre of NOTE family and EVERY actor, whether you had no lines or a million got paid (75 bucks, across the board). A month ago when our 17 minute short was done me and my fellow producers had two screenings- one screening was like a party and we all dressed in 1940's outfits and it was at night and there was adult beverages and snacks (that's when Rachel, Matthew, AJ, and Shemar first saw it) one screening we did at lunch hour one day at work (that's when Joe and Thomas saw it:) because we wanted to have the whole cm family be a part of it. Both were spectacular and heart warming and filled with a great many belly laughs. Now that CM is on hiatus we are continuing to shoot more pages of the film. It's far from done and it may take a bit but that's okay because we are making it exactly how it should be made and sometimes that takes a bit. I want to include you from the very beginning of it and I will continue to reach out and share news. I will start with these pictures, some are stills from the movie and some are from the screening. I hope you enjoy them. Thank you guys so much for unending support and love. I can always feel it and I send it right back to you. My love smells like cookies and/or wet sidewalk so when you smell that, it's my love. Season six is a wrap! There isn't a better time to say THANK YOU for your support this year. it was a challenging one, as you all know, and we're very excited to move into another season of stories with the heroes we know and love. I'll be checking in this summer and filling you in on news as it happens. Hopefully it's all good! We're looking forward to more chats between fans and writers next year and will be sure to post behind-the-scenes photos too! Criminal Minds: Matthew Gray Gubler, Dr. Spencer Reid on Criminal Minds, attended the premiere of "Magic Valley" during the 10th annual Tribeca Film Festival at Clearview Cinemas Chelsea on April 23, 2011 in New York City. 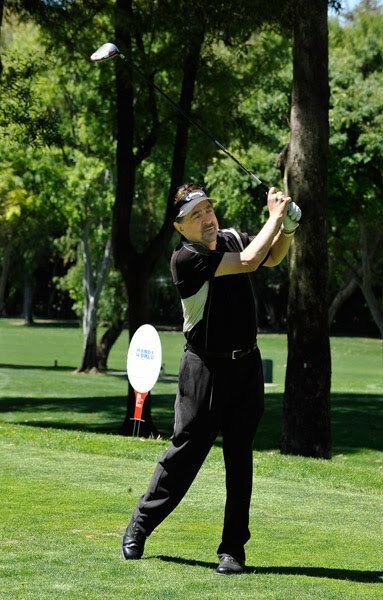 Criminal Minds: Joe Mantegna attends actor James Caan's Golf Tournament at El Caballero Country Club on April 25, 2011 in Tarzana, California. 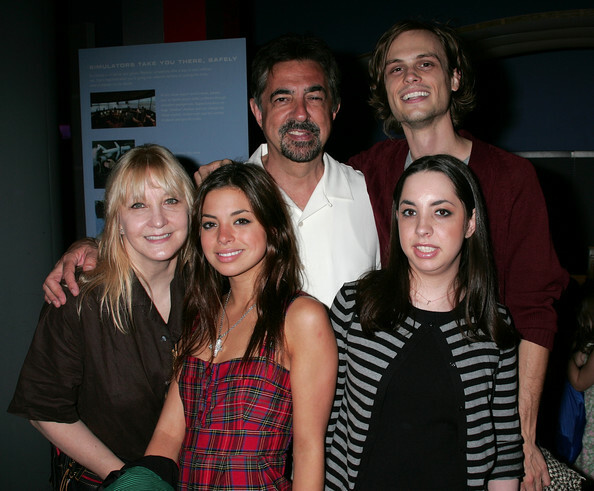 Criminal Minds: The beautiful Mia Mantegna interviews her dad about Autism Awareness Month and Inclusion News. Criminal Minds: TV Guide article reprinted WITH permission from TV Guide! On CBS' Criminal Minds, FBI agent Jennifer "JJ" Jareau (A.J. Cook) doesn't always see the victims in her cases get happy endings. But in real life, she seems to have found one. After being let go from the show at the end of last season, reportedly as a cost-cutting measure, Cook just signed a deal to return to the series. She talked with TV Guide Magazine about her comeback. TV Guide Magazine: When did you find out you were coming back? Cook: We made the deal [April 15], but there have been whisperings for a while. The whole thing was so surreal, from being let go to getting asked to come back for two episodes, and then coming back again to do [co-star Paget Brewster's] last episode. I keep trying to have closure on this, but it keeps sneaking back in my life. TV Guide Magazine: What was your first reaction when you learned you wouldn't be a regular anymore? Cook: I had no idea it was coming. None of us did. I'd be lying if I said it didn't hurt my feelings, but I chose to be me through the whole thing. And that's lead me back to where I started, but in a completely different way. TV Guide Magazine: How long did it take to get over the shock of being let go? Cook: It felt like a breakup with a guy. It happened out of nowhere. And it was an "It's not you, it's me" sort of thing. You think, "What did I do?" It's been a rollercoaster ride, but I just had to put one foot forward and keep moving. TV Guide Magazine: Do you think your fans are at least partially responsible for getting you back? Cook: Their outpouring of support really blew me away. That's definitely the silver lining to being let go. The fans really let me know how they felt, and I guess they really let CBS know too. TV Guide Magazine: What have you learned from this experience? Cook: It's opened my eyes to the industry, and that had to happen, really. I'm just this sweet little Canadian girl, and this was a nice wakeup call. In this business, you have to be on your toes, ready for anything. That's a valuable lesson. TV Guide Magazine: When do you get back to work? Cook: I'm going back to do a little bit in the season finale. Then I'll be back full-time for Season 7. The finale will set up the new JJ. TV Guide Magazine: What's the difference between the old JJ and the new one? Cook: The new JJ is more serious and mature. She'll come back learner and meaner and ready to hit it hard. But don't worry....she still has heart. TV Guide Magazine: How does it feel to be back? Cook: I've been getting texts from the cast, and someone just sent me a picture of my name being painted back on my parking spot. It stirred up crazy emotion inside of me, and I thought, "Wow! It's happening, this is a go!" 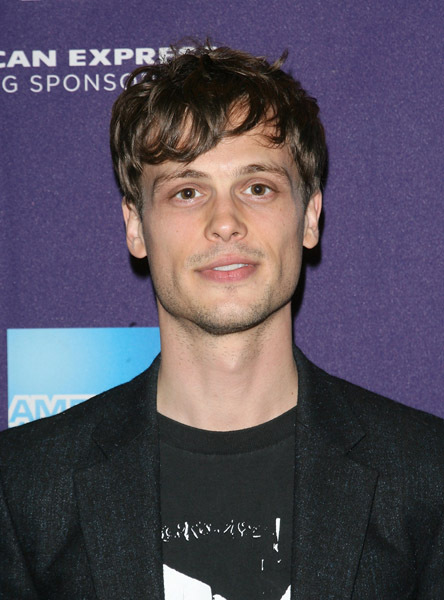 CRIMINAL MINDS: BEST NEWS EVER! CBS made a bold move last summer to shake up its FBI-based hit “Criminal Minds,” ditching two popular actresses from the cast even though the ratings were strong and the characters were well-liked. Brewster, who since leaving the show found a starring role in a comedy pilot, may head back to “Criminal Minds” if her new show doesn't make NBC's next season schedule. CBS executives, who launched “Criminal Minds” in 2005 and its spinoff, “Criminal Minds: Suspect Behavior” this spring, were trying to keep the flagship series vibrant while it was still on top and thought mixing up the ensemble would do it, sources close to the production said. Instead of waiting for the show to potentially fall from favor, as many longtime dramas have done, the network was making a preemptive strike, the sources said. CRIMINAL MINDS PRESS RELEASE FOR "BIG SEA"
"Big Sea" - The BAU is Florida-bound to investigate bodies discovered buried in the ocean floor off Jacksonville, but the case rattles Morgan when his aunt suspects that her missing daughter is one of the victims, on CRIMINAL MINDS, Wednesday, May 11 (9:00-10:00 PM, ET/PT) on the CBS Television Network. Denise Dowse ("The Guardian," "Beverly Hills, 90210") guest stars as Morgan's aunt, Yvonne Burns. CRIMINAL MINDS PROMO PIC FOR "BIG SEA"
Criminal Minds: "Big Sea" -- Rossi (Joe Mantegna, right) talks to two workers from an offshore derrick after bodies are discovered buried in the ocean floor off Jacksonville, on CRIMINAL MINDS, Wednesday, May 11 (9:00-10:00 PM, ET/PT) on the CBS Television Network. Photo: Matt Kennedy/ABC Studios ©2011 ABC Studios. All Right Reserved. 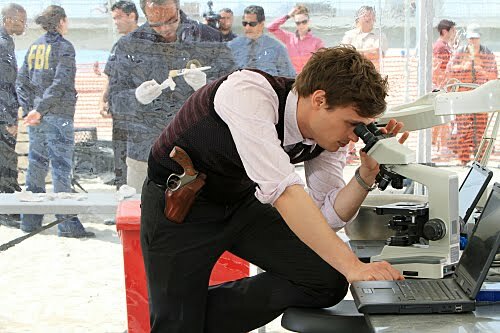 Criminal Minds: "Big Sea" -- Reid (Matthew Gray Gubler) examines evidence when the BAU investigate bodies discovered buried in the ocean floor off Jacksonville, on CRIMINAL MINDS, Wednesday, May 11 (9:00-10:00 PM, ET/PT) on the CBS Television Network. Photo: Matt Kennedy/ABC Studios ©2011 ABC Studios. All Right Reserved. 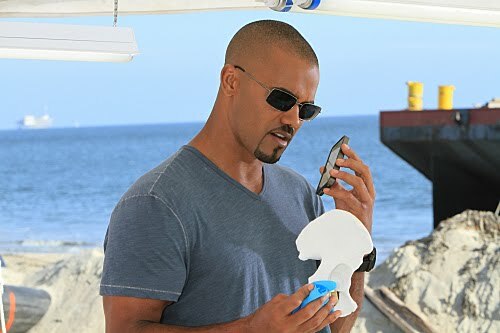 Criminal Minds: "Big Sea" -- Morgan (Shemar Moore) helps the BAU investigate bodies discovered buried in the ocean floor off Jacksonville, but the case rattles him when his aunt suspects her missing daughter is one of the victims, on CRIMINAL MINDS, Wednesday, May 11 (9:00-10:00 PM, ET/PT) on the CBS Television Network. Photo: Matt Kennedy/ABC Studios ©2011 ABC Studios. All Right Reserved. 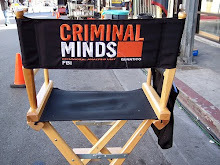 Criminal Minds: Copyrighted transcript held on Wednesday, April 20, 2011 with Criminal Minds showrunner Erica Messer and the Criminal Minds Fanatic website. jill: Welcome Erica. We appreciate your being with us this evening. It has been a long time since you’ve been in the Criminal Minds Fan chat room and there is a lot to talk about but before we get started I wanted to give you just a few reminders. If anyone instant messages you please do not answer them and let us know so they can be removed from the chat room as this is one of our rules and also please type ‘done’ when you are finished answering a question. When you are ready let me know and we will begin the chat. http://criminalmindswriters.blogspot.com/ While it hasn’t been kept up to date it is a great starting point. And now I get to extend my congratulations once more to her for being promoted to showrunner of Criminal Minds. EricaM: Thanks, Jill. I'm honored to have been with our show from the very beginning and really look forward to having a fresh start with season seven! jill: Question: Can you tell everyone what this journey to showrunner has been like for you and your progression through the Criminal Minds ranks. EricaM: Sure. I've had such an amazing experience on this show and love it like it's one of my own children. My own kids have grown up with this being the only show I've worked on -- which is amazing in this industry. EricaM: I've also had the privilege of working with some of the most talented writers and storytellers on this series -- past and present -- and of course, the most amazing CAST on television! jill: It would be hard to side step the BIG PINK ELEPHANTS in the room so lets start talking about season six. Question: Obviously from reading the blog and other sites you are aware that the fans have been less than thrilled this season with the cast changes, some of the writing, etc. Can we have your thoughts about season six. 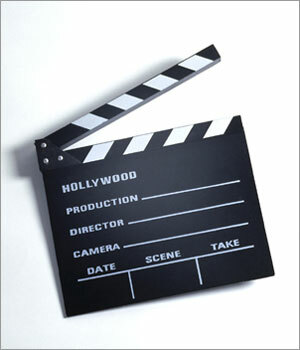 EricaM: As storytellers, we look for the drama. This year, we inherited a lot of that. EricaM: It's always a challenge to introduce new writers into our world. It's a deceptively difficult show to write because we like to layer in our hero-beats for all of you who have watched our show from the very beginning and deserve to know more about those characters that we all love. EricaM: Change is hard. Families don't like that... and our team is our family. Everyone was feeling that pain and we tried our best to express that to all of you through our stories. EricaM: The good news -- actually the GREATEST news -- is that AJ COOK is back and we have that to launch us into an exciting season seven. EricaM: I want all of our writers to chat with you all again -- it's such an important part of our process to know what you all are thinking and liking or not liking. jill: Question from fan: JJ was a brilliantly written episode which expressed so many of the feelings that the fans were feeling. You did a great job. How hard was that episode to write given that at time we didn’t know that AJ would be returning? jill: Question: Ed Bernero and the actors have partnered for years with us on charity auctions. Will you be continuing that partnership with the fans? jill: Question: Seaver......While she is most likely a lovely actress her character is loathed and panned by every CM website around the globe. Can you share anything about her future with us? jill: Question: We realize you can’t speak for CBS but the entire fandom is in an uproar over Thomas and Shemar not having contracts yet. Thomas chatted with us a few days ago. How in the world could you deal with the loss of two major characters? Fans are irrate at the prospect as I am sure you already know. EricaM: I have to move forward believing that our two guys are back. Negotiations have given me more gray hairs than ever!!!! EricaM: I know the process is long, but honestly, the sooner Thomas and Shemar's deals are done, the better I'll sleep. I wish I was too young, Jill You wouldn't recognize me! Breen Frazier thought I got high-lights. I told him it's all gray! jill: Question: Every showrunner has their own vision for their show. 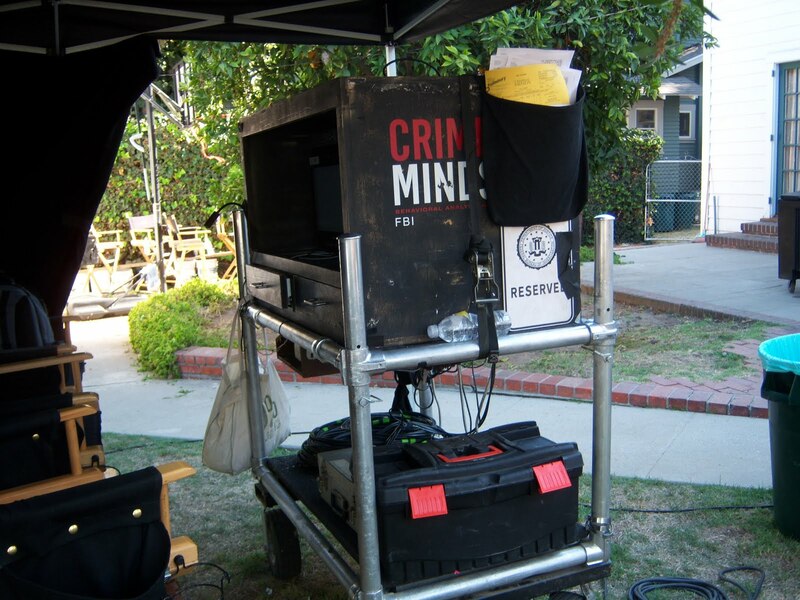 Where do you want to take Criminal Minds and us next season? EricaM: I think it's about time we're able to really have some character arcs -- all the stuff we as fans and writers LOVE. jill: The next question is somewhat of a repeat but was sent to me by a press outlet. If you care to answer it then fine and if not that works for me too. These fans are more like Sci Fi fans than fans of procedurals- they watch each episode and have very definite opinions. When they were told of both Pagets and AJs exits this year it was as if a family member had died. They are deeply concerned that the central character in the show - Aaron Hotchner played by Thomas Gibson - will not return to the series next season as he has no contract past this season. They do not trust that the network fully understands the importance of the actors - that they are not replaceable and that each character has a function within the family created over the past six years. The loss of any of these cast members will adversely affect the show and the fans but the loss of their team leader would deeply disturb the balance that the fans feel. They want to know that both Thomas and Shemar will be back next season and that the return of AJ and hopefully Paget will restore the show's luster of seasons past - the sixth season, while highly rated, is generally felt to be weak in writing and character development. Ed Bernero is felt to have deserted the show and the fans take that personally. Can you tell us your thoughts on this subject? jill: Question: Are you hiring new writers now and if so what are you looking for? Some of the newbies this year didn't seem to understand the characters? Was it difficult for you to try to clue them in to the spirit of these characters we all love so well? EricaM: Yes, we're bringing in some new writers with strong, original voices and some amazing pedigree! I've joined a series in season six before and it wasn't easy. There's a shorthand that we all have -- the characters and the writers who've been here from day one -- and it's really really tricky to pick that up. Hardkorr: Would you ever consider re-hiring writers that have previously written for CM and know and love our characters? jill: Question from fan: I want to know why the new Criminal Minds spin-off can be watched streaming online at CBS.com but we can't get Criminal Minds. Doesn't it effect their ratings and income (the online shows have their own ads). Are they planning to change it so we can watch Criminal Minds on CBS.com? EricaM: Very good question. Hmmmm. EricaM: I've heard that show needed an extra push that they didn't think our show needed. jill: What would you like the fans to know? EricaM: First of all, we LOVE YOU ALL for sticking by us in this difficult year. EricaM: There's a new excitement around here -- we want to feel like we did in the early days. EricaM: That I love this show. EricaM: I'm protective of it, just like you. EricaM: Next season promises big things. EricaM: Can I ask the fans some questions? EricaM: Did you like our guest stars? Kirst: too much focus on the unsub but the actors were good. Krizia: Very much show. Good choices. ErinLee: AJ WAS MY FAVORITE! velvet: They were very well cast. EricaM: We had a lot of fun with those characters and I was just curious how you liked them. Thanks for the feedback. EricaM: What was your favorite character arc this season? With our heroes? Cephalophile: Watching the team deal with the aftermath. Subtle but awesome. criminallymindless: Definitely Emily and Doyle! EricaM: Thank you so much! EricaM: I've missed being in here. Next season I'll be around. No spoilers, unless you really want 'em! EricaM: Jill knows how passionate and committed I am to this show because she's known me from the beginning. Thanks for your support. It means more than you know. jill: Good so you will be around? EricaM: I will be around! jill: What as fans can we do to help you and the show? EricaM: Believe in us. Know that we're fighting the good fight down here in the trenches. That we want our show to thrive, not just survive. EricaM: With your support, it rallies all of us. Cast, crew, writers -- everyone. jill: Please tell Breen we have really missed him and his chats. He is adored. EricaM: i'll tell him! We'll all be back next season. You'll get tired of us! jill: Take care of our show kiddo! EricaM: I will! Thanks again, everybody! EricaM: Thanks for showing the love! It means so so so much to me!!!! Criminal Minds: Copyrighted transcript held on Sunday, April 17, 2011 with Thomas Gibson and the Criminal Minds Fanatic website. 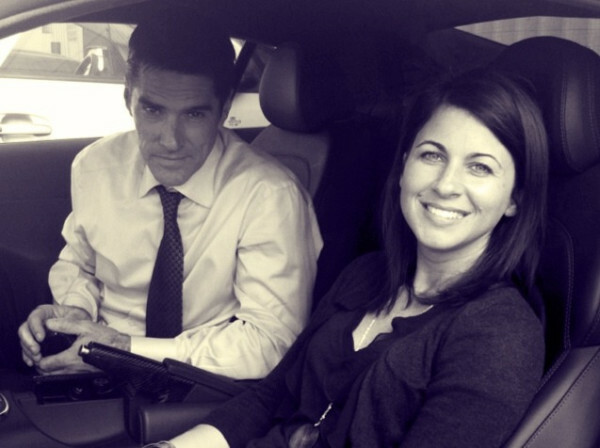 Thomas_Gibson: helloooo! and before I start, I forgot Lauren's birthday yesterday and I wanted to send best birthday wishes...! Some fans believe this is a ploy by CBS to gain publicity, some fans think you may not want to come back, and some fans believe that CBS is screwing around with you and want to mobilize an army to save your character. Can you clarify what is happening? Hardkorr: We want you back to Thomas. The fandom is hoping this is resolved soon. We want to get a happy tweet that you are back for Season 7 and beyond. Hardkorr: Sorry Thomas, Jill is having technical difficulties and will be logging back on soon. Thomas_Gibson: I would also like to say something before we go forward. We as a cast and a family on CM would like to ask our fans to please be more supportive of Rachel Nichols. She is a great person and a terrific actress who has tackled a very challenging situation with professionalism and talent and while we understand the fans being very protective of this show, we also ask that you extend her your support...thank you! jill: I am sure Rachel is a nice person but she unfortunately collided with heavy emotions re AJ and Paget. jill: Fiona: Would u like to see Hotch remarry? If so, any actresses you would like to see cast in the role? jill: Hotch on a date. Would he smile? jill: Evelyn R: I won and framed for my den one of your signed 100 scripts. My fav episode. Is it one of yours as well? jill: CK: Love your tweets but why shoes? jill: Loriana: Do you speak any other languages? Second fav sport after golf? Thomas_Gibson: my french is mauvais, but that's all I got...still trying to learn italian...and my daughter and I are playing baseball in the backyard these days...and my boys are english premier league fanatics! jill: Elaine: How many miles did you bike last weekend? jill: BL: Have any of your children expressed an interest in acting and if so would you encourage them or try to talk them out of it? jill: When you started in season one did you expect the show would become a top ten show and last this long? jill: Thomas, I am being bombarded with ims asking me what the fans can do to help with your contract negotiations. Is there anything you can think of so we can get involved....writing, CBS, calling, anything? The fans don't feel CBS understands how impt Hotch is to the show. jill: What do watch in what little spare time you have? 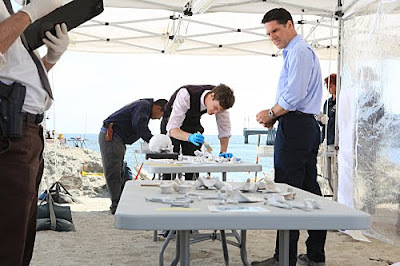 Thomas_Gibson: It didn't happen to me, but Michael J. Fox once told me that a fan ran up to him, threw her arm around him and yelled "Honey, take my pitcher side it!" jill: From Shirley: Hotch writes with his left hand but shoots with his right hand? Are you right or left handed? 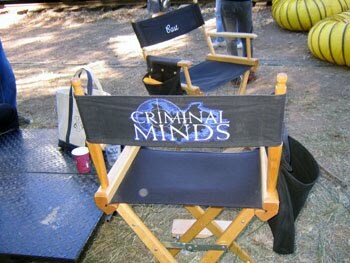 jill: Erica Messer is chatting tomorrow as the new showrunner of CM. She plans to talk about this season's challenges and the upcoming season. Any ideas for Hotch? jill: What is the funniest thing that has happened behind the scenes this season? jill: Famous asks: You recently did publicity tour in NY. Was it fun? We loved watching and reading it and all the blog pics. jill: What plays did you see? jill: Khalid asks: Do you ever speak to the actors who are no longer on the show? Do you think they will ever be guests on the show? Would you like that to happen? jill: Sherry asks: Can you tell us if this season ends in another cliffhanger while we wait to see if you get a new contract like the other season did with the reaper? jill: Jamie asks: Are you ever surprised by how popular and loved by so many CM fans? You have a huge fan base? jill: Well, how many more ?s do you have time for? jill: When do you stop shooting for the season? You're cooking it? jill: Some imms asking me to ask you what you will do if you don't get a new contract? jill: One more ? please. Criminal Minds: Erica Messer, the new showrunner for Criminal Minds, will be joining us in the Criminal Minds Fanatic chat room to discuss Criminal Minds on Monday, April 18th at 9pm EST. Please email the Criminal Minds moderators for the password for this chat: cmfchat@gmail.com AND make sure the subject line reads 'request password for the "Erica Messer Chat"
Criminal Minds: A.J. Cook will be back to "Criminal Minds". After being in talks for a week, the blonde beauty has finally closed a two-year-deal to return to the crime drama series as a regular, so Deadline reports. Cook will first reprise her role of Jennifer 'JJ' Jareau as a guest star in the series' sixth season finale which is set to air on May 18. The 32-year-old actress will later rejoin the CBS show full-time when it returns in the fall. CRIMINAL MINDS PRESS RELEASE FOR "OUT OF THE LIGHT"
Criminal Minds press release for "Out of the Light" - The BAU is called to a North Carolina mountain town after a woman is found badly injured and another is missing, and they discover that these two are not the only victims, on CRIMINAL MINDS, Wednesday, May 4 (9:00-10:00 PM, ET/PT) on the CBS Television Network. Jeff Meek ("As the World Turns") guest stars as suspect Robert Bremmer. 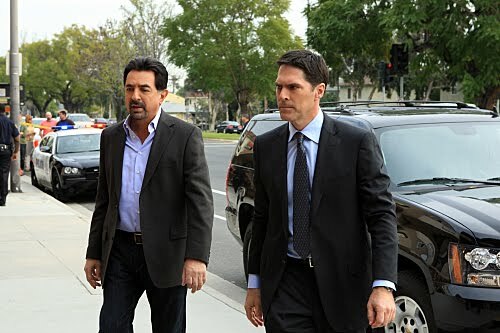 Criminal Minds: Thomas Gibson, Aaron Hotchner on Criminal Minds, will be joining us in the Criminal Minds Fanatic chat room to discuss Criminal Minds on Sunday, April 17th at 4pm EST. Please email the Criminal Minds moderators for the password for this chat: cmfchat@gmail.com AND make sure the subject line reads 'request password for the "Thomas Gibson Chat"
CRIMINAL MINDS QUOTE & SONG INFO FOR "THE STRANGER"
Criminal Minds quotes for "Hanley Waters" starring Joe Mantegna, Thomas Gibson, Shemar Moore, Matthew Gray Gubler, Kirsten Vangsness and Rachel Nichol. Sometimes human places create inhuman monsters - Stephen King. 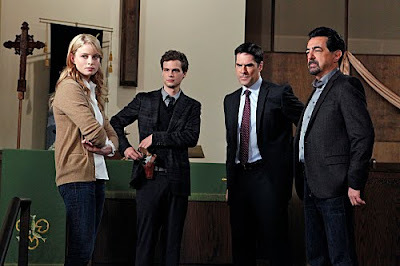 CRIMINAL MINDS SPOILER THREAD FOR "THE STRANGER"
Criminal Minds spoiler thread for "The Stranger" starring Joe Mantegna, Thomas Gibson, Shemar Moore, Matthew Gray Gubler, Kirsten Vangsness and Rachel Nichol. Criminal Minds: Kirsten Vangsness, who stars as Penelope Garcia on both Criminal Minds and Criminal Minds: Suspect Behavior is redefining beauty on TV. The actress, though pretty, is a full-figured woman, which is certainly more relatable for most female viewers. 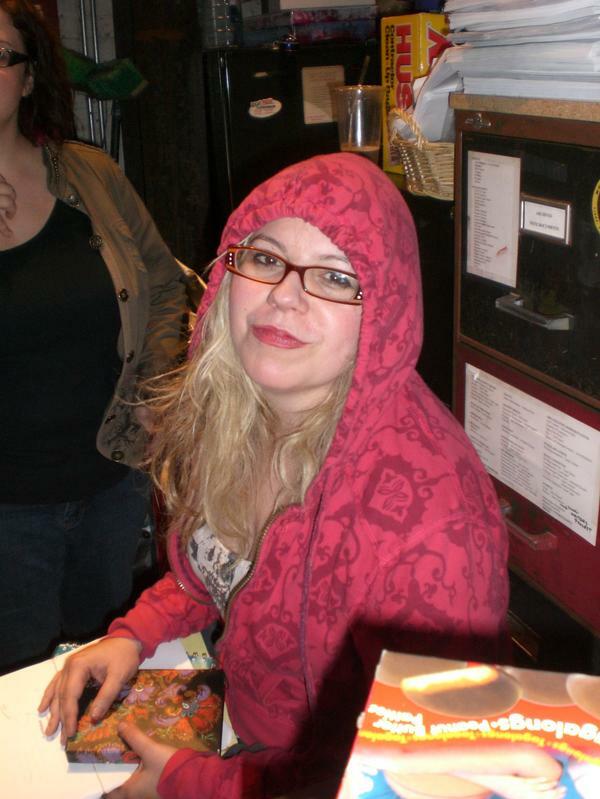 And those quirky looks that Garcia has – from blonde to red back to blonde locks again – as well as those colorful outfits - are pretty much all courtesy of Vangsness, who enjoys a splashy look herself. CRIMINAL MINDS REBROADCAST OF "WHAT HAPPENS AT HOME..."
Criminal Minds: "The Stranger" --Hotchner (Thomas Gibson), Morgan (Shemar Moore) and the BAU hunts a stalker in San Diego who is killing college students, while the team comes under Strauss' scrutiny in the wake of the loss of Prentiss, on CRIMINAL MINDS, Wednesday, April 13 (9:00-10:00 PM, ET/PT) on the CBS Television Network. 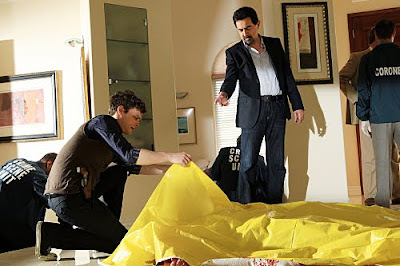 Photo: Adam Rose/CBS ©2011 CBS Broadcasting, Inc. All Rights Reserved. CRIMINAL MINDS QUOTE & SONG INFO FOR "HANLEY WATERS"
Antonio Porchia, "Man when he does not grieve, hardly exists." There is no music to list for this episode. CRIMINAL MINDS SPOILER THREAD FOR "HANLEY WATERS"
Criminal Minds spoiler thread for "Hanley Waters" starring Joe Mantegna, Thomas Gibson, Shemar Moore, Matthew Gray Gubler, Kirsten Vangsness and Rachel Nichol. Criminal Minds: The actor joins the guys in studio to talk about the golf charity his attending and his show Criminal Minds. 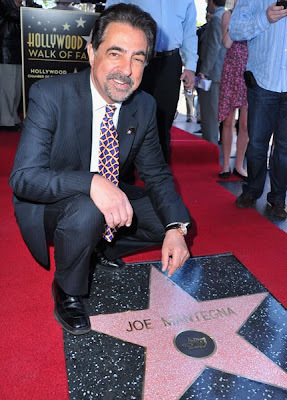 Mantegna gets it crackin' and tells us a little bit of his golf game, his Cubbies, and what it's like to be an actor in his 42nd year of being a professional actor. If you'd like to attend the 8th Annual Celebrity Hack n' Smack, Kerry Daveline Memorial, Celebrity Golf Classic with Joe or get more information on Melanoma research, visit hacknsmack.org to register. Criminal Minds: The actors send a message to the people of Japan! 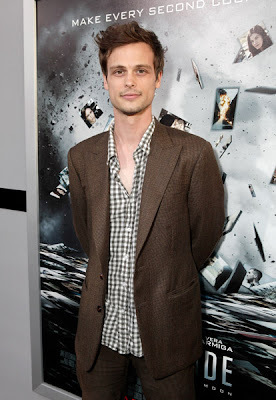 Criminal Minds: Matthew Gray Gubler arriving at the "Source Code" Los Angeles Premiere at ArcLight Cinemas on March 28, 2011 in Hollywood, California.